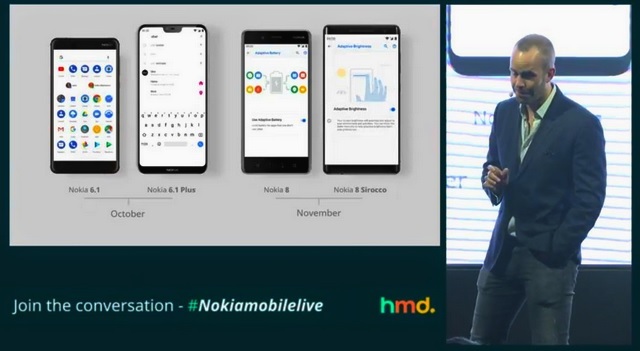 Back in August, HMD Global’s Chief Product Officer Juho Sarvikas told Beebom that the Nokia Android Pie update roll-out will begin in September. On cue, the Nokia 7 Plus was the first Nokia phone to receive the update this past weekend. 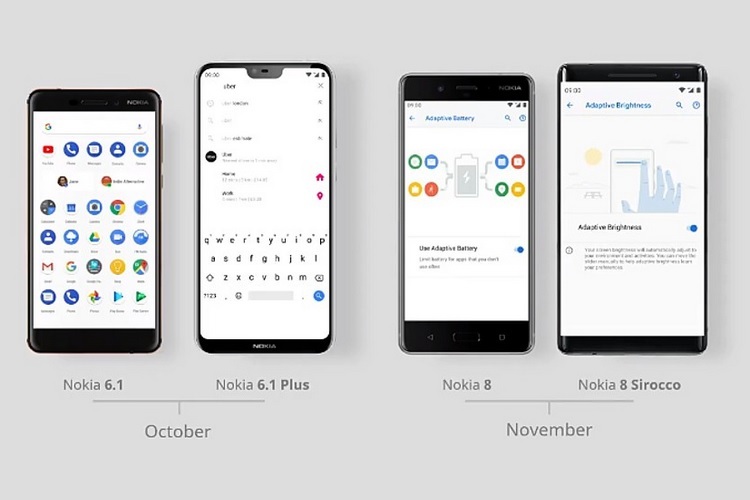 The company has now announced the Android Pie update roadmap for several other Nokia smartphones starting this month. At the Nokia 7.1 launch event yesterday, Nokia announced that it will release the Android 9 Pie update for the Nokia 6.1 and the Nokia 6.1 Plus in October, while 2017’s Nokia 8 and this year’s Nokia 8 Sirocco flagships will get the update in November. Sarvikas also added that more Nokia smartphones will get the Pie update after the first phase of updates. Nokia’s Android One phones are also guaranteed Android and security updates for up to 3 years.